It’s no secret that actors spend an awful lot of time waiting on the email to come through that they have an audition or, better yet, a job. Long has the belief been held that an actor must wait for an opportunity before they can act. What a disempowering mindset from which to launch a career! It’s high time that actors realize they are, in fact, able to take charge of their overall growth as artists by taking hold of the reins themselves. 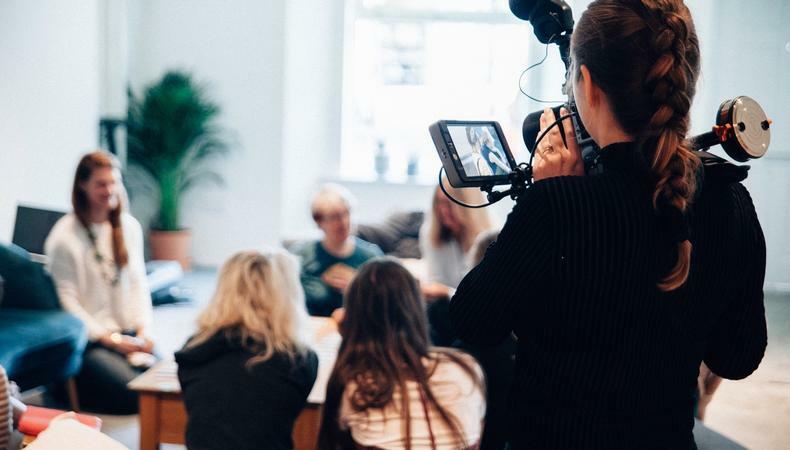 Having just completed a web series, I can tell you that nothing will challenge you and accelerate your learning more than being a content creator. Next time you get a bit of dough together, invest it in your career. If you feel it’s time to step into more responsibility and really push yourself, here are five mindsets that will push you toward a truly empowering experience. 1. It’s OK to start anywhere. Google images that inspire your ideas. Write a synopsis, then a storyline, then a script. We all have a movie we’d like to make, so start with the visual aspects that exist in your mind and flood yourself with the imagery. Then allow it to spill across the page. 2. Keep a lean set. If this is a self-funded project, you’ll want to keep your crew numbers down to the essentials so you can stay on schedule and travel light from one location or set up to another. Crew like makeup and wardrobe are nice if your budget can swing it, but you can likely make do without them if money is tight. There’s a lot to know about filmmaking. This is your first time doing it, so give yourself a break and don’t feel you should know everything before you start. If you’ve done the right thing and put an excellent team together, don’t be shy about picking their brains. Don’t feel that just because your name is all over this project that you should have all the answers. Trust that the team will support you in your queries and it will serve as a fast track to learning. 4. Stick to your vision. It’s easy to feel intimidated when you’ve surrounded yourself with experienced professionals. As long as you step into the same mindset for yourself, things will come together nicely. You find many people throwing their opinions into the mix and although you should be open to them, if it doesn’t feel right, stick to your guns and stand by your vision. In all areas of the process, suggestions will be thrown at you. Be mindful of this and make the story you want to tell. It is your responsibility as a content creator to see the project through to the end. There’s no doubt that you will run into obstacles along the way or even get stuck. This happens every step of the way to every content creator. The key is to stay optimistic and persist. Once it’s finished, there will be marketing and festivals to consider so don’t let your project gather dust. Continue to be proactive after you’ve finalized your cut. Trust that things will work out but always follow up on your action list. It’s truly amazing what can be accomplished when you back yourself. Keep these tips in mind, and soon enough, you may be proudly referring to yourself as a filmmaker! Cam Faull is a Melbourne-based actor, writer, director, producer, and acting coach. Cam brings over 25 years experience to his classes and coaching, assisting actors to be practical and prepared in the industry. For more information, you can go to Cam’s website, IMDb, Facebook, or Instagram.